Update: The album release date has been moved to March 3rd. Never let it be said that “Archer” won’t go incredible lengths on behalf of a running joke. One of the storylines of the fifth season of FX’s reliably profane animated comedy, which premiered last night, involves a character attempting to have a country music career (amidst many other crazy developments). And to accompany the new season, the network announced today that it will be releasing “Cherlene,” a 12-track album of original music, on all digital platforms on Monday, February 17th. Cherlene is the recently introduced alter ego of Cherl/Carol Tunt (voiced on the show by Judy Greer, who doesn’t do the singing). The highlight of the album will be a duet between Cherlene and Kenny Loggins, who will sing a new, country-style rendition of “Top Gun” soundtrack favorite “Danger Zone” (the phrase is also a favorite of Sterling Archer’s). A music video for the new version of “Danger Zone” will play in episode six, which airs on February 17th. 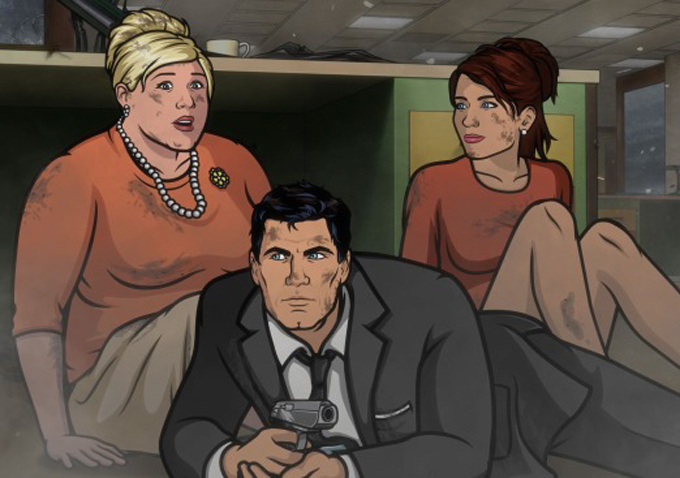 An animated version of the 1986 “Danger Zone” music video featuring the “Archer” characters was released as a promo for the new season back in October. Loggins will be appearing as himself — sort of — in an episode of the new season. The album will be distributed across digital platforms including Apple iTunes, Amazon Digital Services Inc., eMusic, Google Music, MediaNet, Nokia, Rhapsody, SoundCloud, Spotify, Touchtunes, YouTube and others.